This is my best recipe in my opinion, took ages to perfect, and has brought me nearly worldwide fame. Here are my secrets. 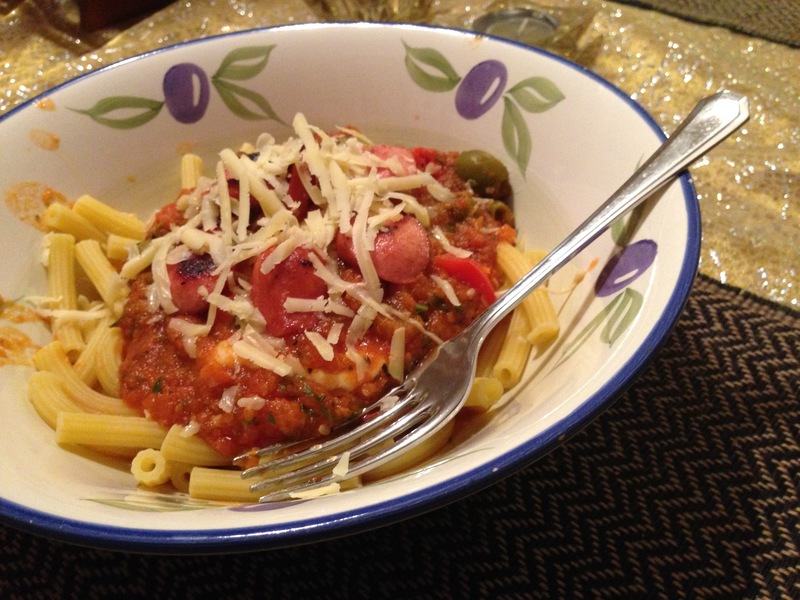 This batch pasta sauce recipe will give you 6 good portions. It’s a great one to portion out and chuck in the freezer for another time too. Heat up 2tbsp of olive oil in a Le Creuset or something similar. 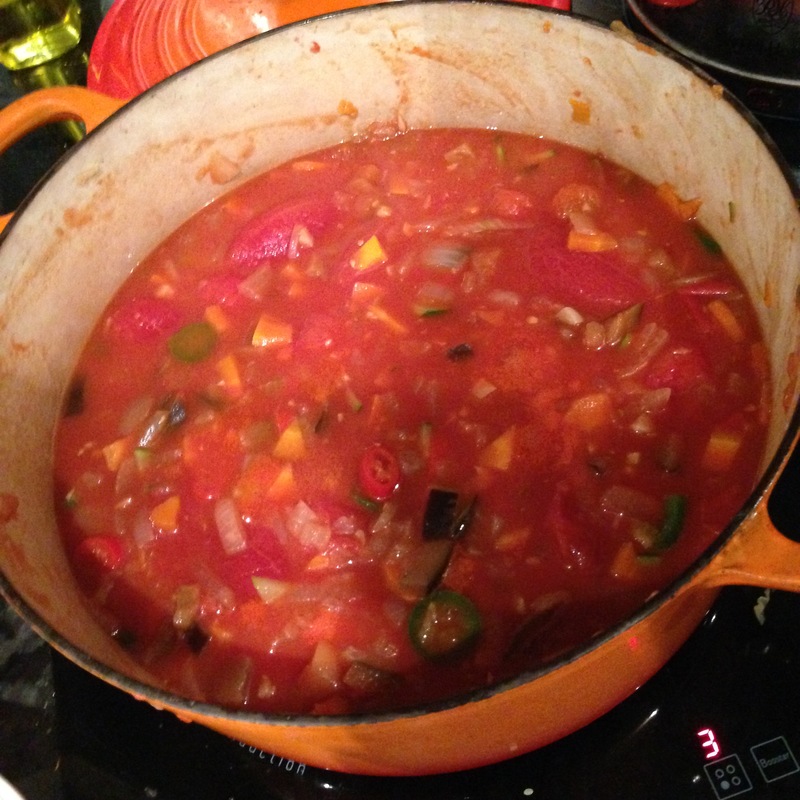 Fry together the onions, aubergine, celery and carrots with the lid on until well softened. 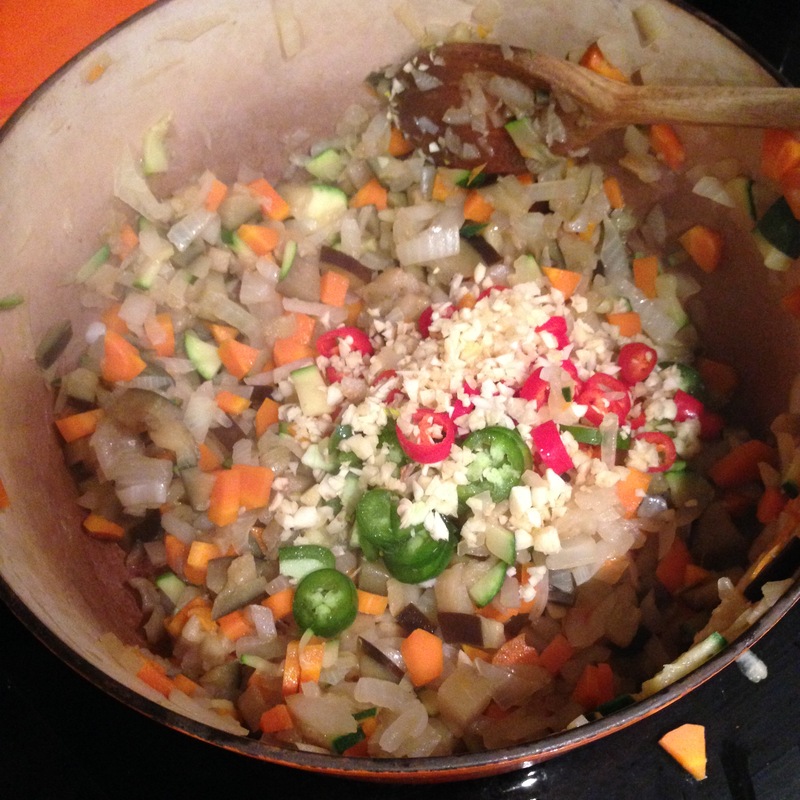 Then add 2-3 red chillies, depending on if you’re a spice boss. Also add 7 cloves of garlic and 2 tbsp. of tomato puree. I know this seems a lot but there’s a lot of sauce to flavour! Add around 200ml of boiling water at this point too, and leave it to cook for a bit. 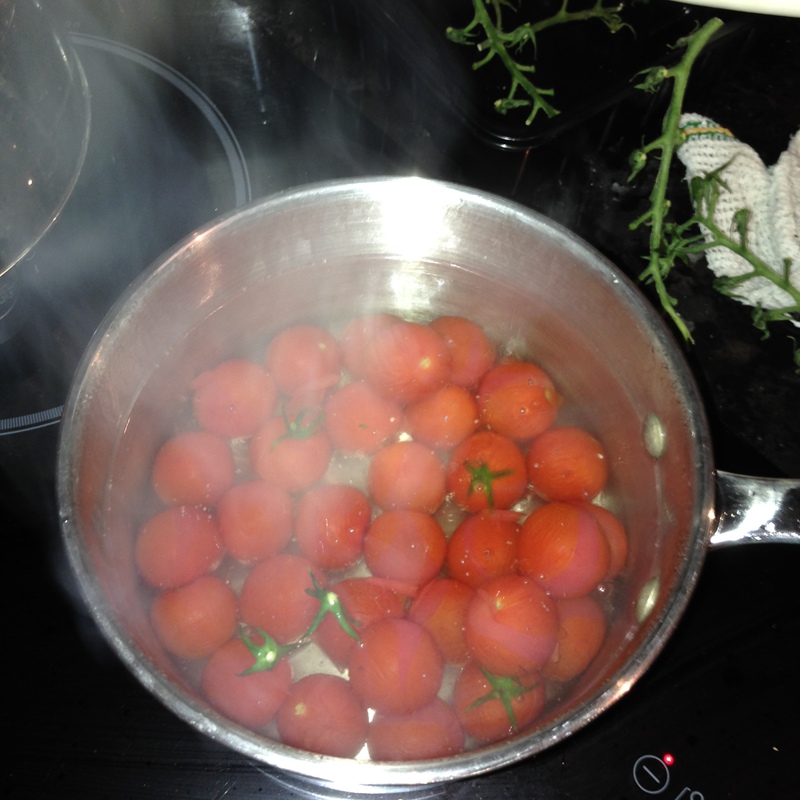 Next, boil the tomatoes in water to get their skins off. Some will go in the sauce now, and some later on. Next, add them to the fried veg, chilli, purée and garlic. By this point you should be thinking about Italy, and hankering for an espresso. Allow this to cook together for at least an hour. 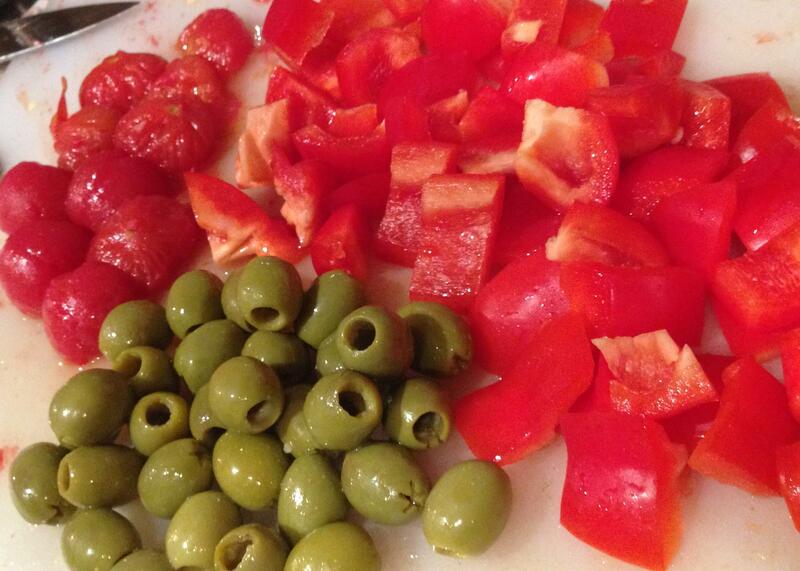 Whilst you wait, chop up your pepper and get excited. 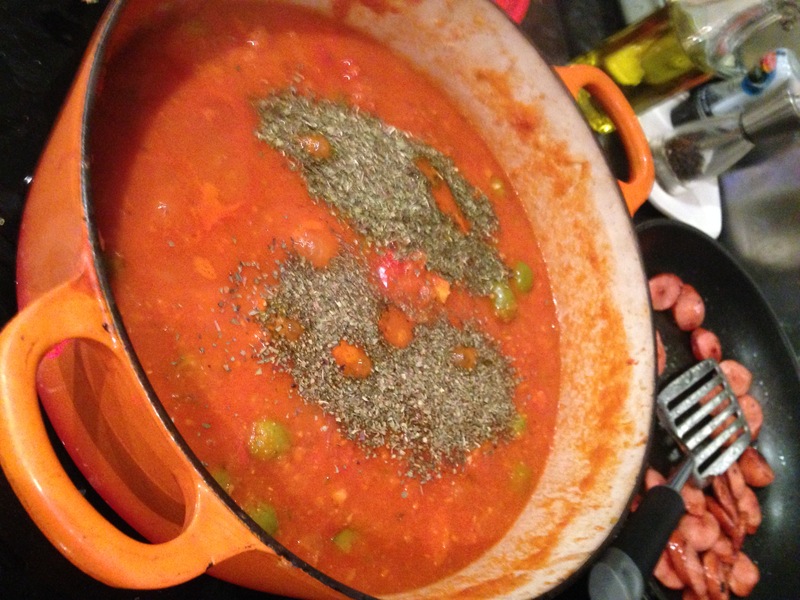 Then blend the mixture together, and add the pepper, along with the olives and the rest of the tomatoes. Add the dried herbs, then let it cook for another hour, the secret is in the long cooking, so be patient. Fry your frankfurters off at this time as well. Add salt and pepper and see how it tastes, a bit of parmesan tastes lovely when mixed in as well. Finally, turn off the heat and put the mozzarella on the sauce, but don’t mix it or you’ll just get a stringy mess. I know it can be frowned upon to put cheddar on pasta sauce, but it goes well with this, as does, parmesan. For another hearty one-pot dish, try my Moroccan Chicken recipe. Crammed full of lemon, coriander and olives, it’s a delicious and very different type of meal. 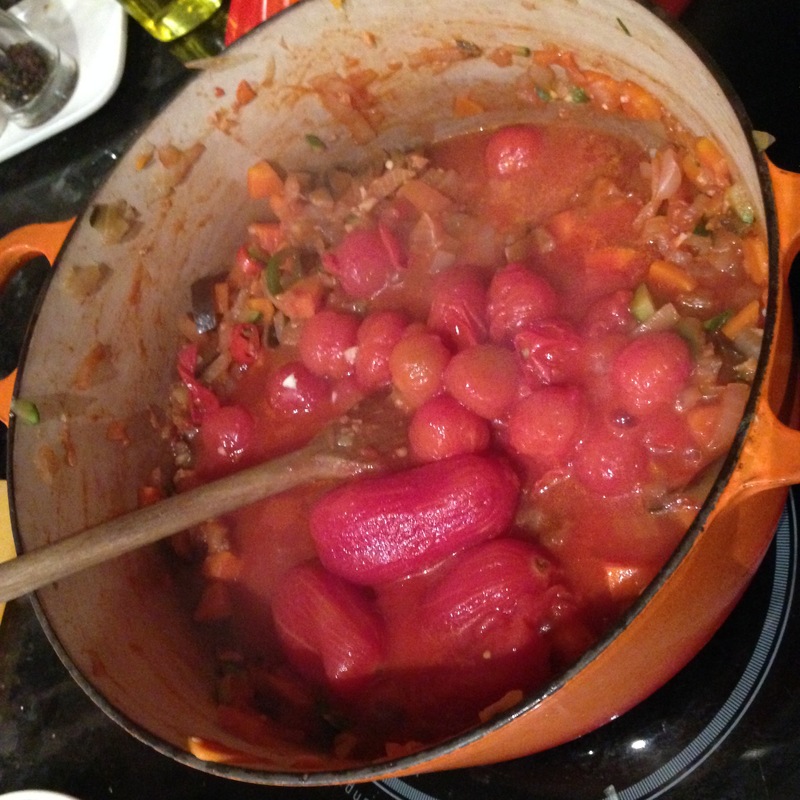 Also, my Chorizo Chicken Jambalaya recipe is to be missed at your peril. As a fellow food blogger you may want to check out a cooking competition I am hosting. I just issued a call for entrants and think you might be a good candidate. Take a look at it over at rantingchef dot com. Looks pretty good! I must say I love experimenting with my sauces when I am not working at my pasta restaurant. Will try this out, thanks for sharing!